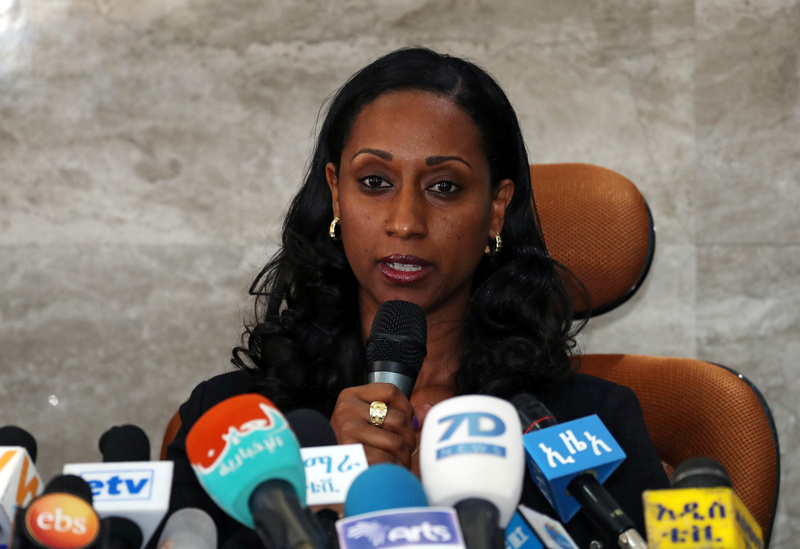 Ethiopian transport minister Dagmawit Moges addresses a news conference on the preliminary report to the Ethiopian Airlines ET 302 plane crash in Addis Ababa, Ethiopia April 4, 2019. Ethiopian Airlines pilots followed proper procedures when their Boeing 737 MAX 8 passenger jet repeatedly nosedived before a March 10 crash that killed 157 people, Minister of Transport Dagmawit Moges said on April 4 as she delivered the first official report into the disaster. Regulators grounded the global 737 MAX fleet of 371 aircraft after the Ethiopian crash. Concerns about the bestselling jet knocked as much as 14.5 percent, or $34 billion, off Boeing’s market value. The shares slipped 0.4 percent in pre-market trade on April 4. One of the victims was the niece of U.S. consumer rights advocate and one-time presidential candidate Ralph Nader. Her family are preparing to file a wrongful death lawsuit against Boeing in Chicago, the New York Times reported on April 4.